For many, the blonde Alice in the blue pinafore from the 1951 Disney’s Alice in Wonderland is the classic look. Others prefer the 1865 Tenniel wood-engraved illustrations while the 2010 and 2016 Tim Burton film versions have taken hold with Mad Hatter fans. 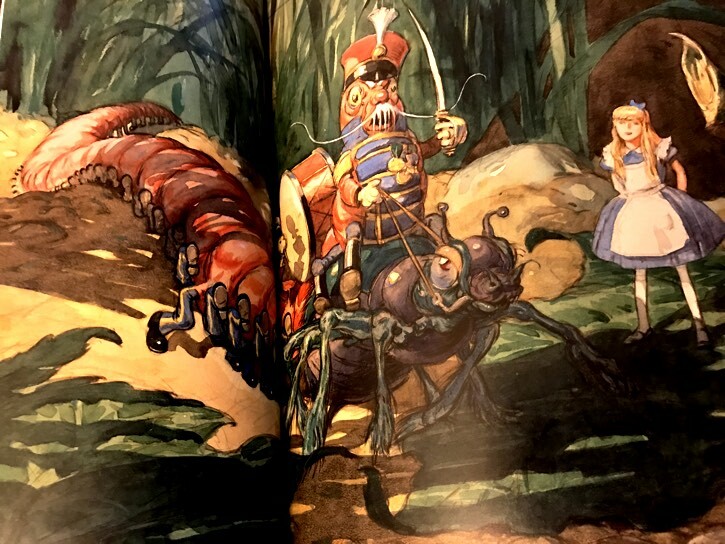 No matter what your favorite Alice, Mark Salisbury has written a fantastic book for Alice in Wonderland fans that takes us down the rabbit hole of the Carroll’s books, multiple films and theme park appearances. Like most of the film-related compendium books that bridge the animated and live-action films, Salisbury’s work treads familiar grounds. He starts with a deep look at the history of the original text as well as pulling in information about Lewis Carroll and the influences of the book. Because of the visual nature of the films, Salisbury spends a lot of time looking at Tenniel’s original illustrations and how the iconic images have influenced everything that followed. Expectedly, the meat of the book covers the Disney’s Alice in Wonderland animated film released in 1951. Alice in Wonderland was a film that Disney spent years trying to make, always grappling, in some form, with the nature of the beloved story. There were many production crews saddled with wrestling the work into an animated film, with very few approaching what Walt wanted to see. Like most of Disney’s Alice in Wonderland criticism of the time, it was still a difficult film to create and enjoy. Also, like many of the Disney animated films, Alice’s popularity has grown with the generations. Salisbury also presents the beginnings of the Disney Studios since Alice was integral in the early successes for Walt and Roy. The Alice comedies were a take on the Out of the Inkwell films and Salisbury shares how the films helped direct the Disneys to the development of everything that followed, like Oswald the Lucky Rabbit and the use of Alice themes in the Mickey and Silly Symphonies shorts. Works influenced by Alice in Wonderland, like Donald in Mathmagic Land, have a small section, that includes a look at the television specials and commercials featuring Alice and crew. There is so much fantastic concept artwork and images from the Studios during production. Salisbury is able to juxtapose concept art and the final cells that were used in the animated film. 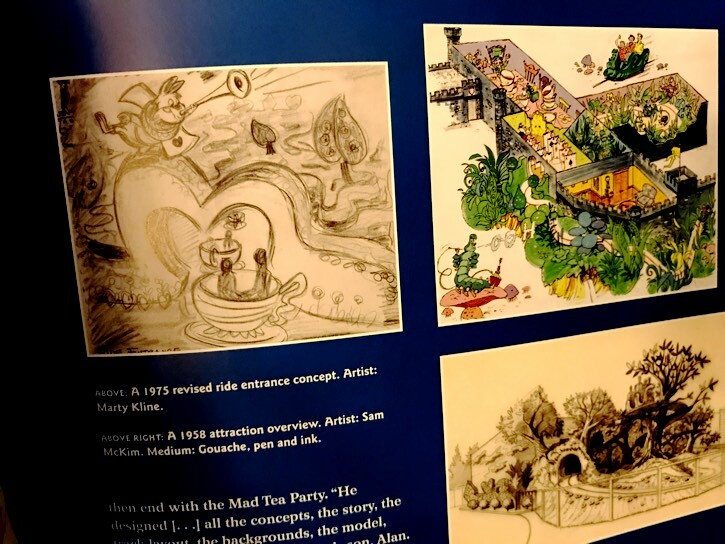 Throughout the book, Salisbury added sections that look at how Disney’s Alice in Wonderland appeared in the theme parks all over the world. From attractions to characters to shows, we get a glimpse at Alice and her friends making magic. They are fun sections that fans of the theme parks are going to enjoy. This is a great book that fans of Disney’s Alice in Wonderland are going to love. The history is presented well and the rest of the book offers insight into the production of the various films and shorts. I love that Salisbury is able to tie the Alice Comedies so well into the history of the Disney Studios. I highly recommend this book for the lay animation fan. 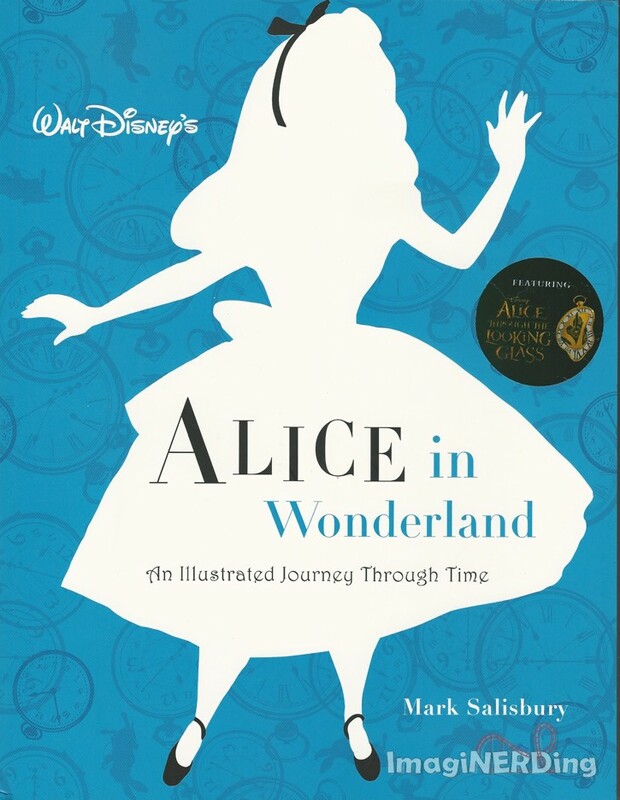 Are you going to pick up Walt Disney’s Alice in Wonderland: An Illustrated Journey Through Time? FTC Disclosure: A copy was provided by the publisher for the purpose of this review. This post contains affiliate links, which means that ImagiNERDing receives a percentage of sales purchased through links on this site. Thank you for your support! Carowinds Rides: Family and Thrill Rides!